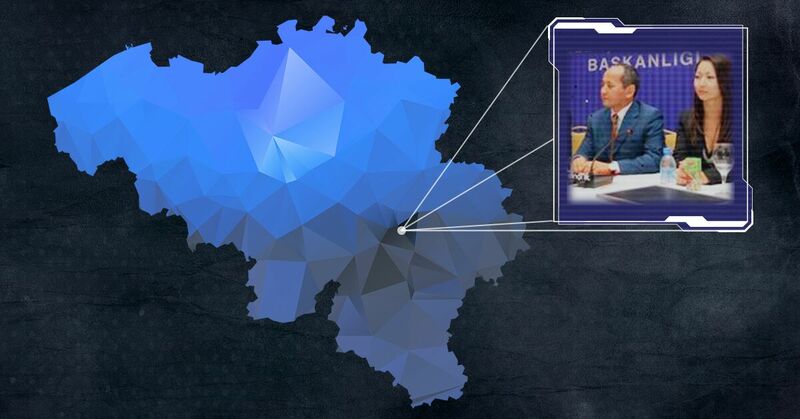 Although there is an international arrest warrant issued on her name, Botagoz Jardemalie, a Kazakhstani national and the right hand of Mukhtar Ablyazov, had a company in Brussels, Belgium, and repeatedly visited the country without any hindrance from Belgian authorities. Jardemalie was born on 10 July 1976 in Almaty, Kazakhstan. In 1999 she graduated from Adilet Higher Law School in Almaty. Between 1997 and 1999 she worked as an assistant lawyer in the Almaty office of the law firm White & Case. In November 2005 she is hired as managing director at BTA Bank in Almaty, Kazakhstan, and in October 2008 she becomes a member of BTA’s Management Board. Incidentally, 2005 is also the year when Mukhtar Ablyazov became the sole owner of BTA Bank. After gaining ownership of BTA, Ablyazov began creating a network of offshore companies through which he managed to siphon billions of dollars from the bank. The Kazakh government discovered the scheme in 2009, when it nationalized BTA. According to Kazakh prosecutors, Ablyazov managed to steal 7.5 billion dollars using his network of dummy corporations. More about Ablyazov, here: http://www.opensourceinvestigations.com/belgium/kazakhgate-relay-bulat-utemuratov-mukhtar-ablyazov/. Ablyazov was also strongly connected to Alexander Potkin, who allegedly handled the assets belonging to Ablyazov in Russia. Potkin is a well-known Russian nationalist, and the former leader of the Movement Against Illegal Immigration (DPNI). Potkin was arrested by the Russian authorities in October 2014. According to investigators, Potkin’s work was supervised by Ablyazov’s closest allies – Ilyas Khrapunov, Ablyazov’s son in law and the son of a former Mayor of Almaty Viktor Khrapunov, and Botagoz Jardemalie. In other words, Jardemalie was hired by Ablyazov to help him with his daring scheme to siphon billions of dollars out of Kazakhstan through his offshore companies. In 2009, Jardemalie resigned from all her positions in BTA – and fled the country, just like Ablyazov. Sources say that Jardemalie was also Ablyazov’s mistress. She is married with Peter Sztyk, owner of New World Oil & Gas. In September 2012, Jardemalie and her husband created a company in Brussels, Belgium: Botagoz Jardemalie SPRL. The company was located at Chaussée de Louvain 467, 1030 Schaerbeek, Brussels, and offered consultancy on cross-border litigation cases and on managing projects developed between the European Union and Kazakhstan. Later, on 13 March 2013, the company changed its name to Ponte Mundi, and Jardomalie was appointed managing director. On 4 May 2013, Kazakhstani authorities issued an international arrest warrant on Jardemalie’s name, accusing her of “misappropriation or embezzlement of entrusted property” in relation to the positions she held at BTA Bank. In spite of this, nothing happened to her, and she was able to visit Belgium on at least two occasions, without being questioned by the Belgian authorities. The first visit took place on February 2nd 2016, when Jardemalie and her husband sell Ponte Mundi to Ruchat Lexial, a law firm. The second visit happened on 5 September 2016, when Jardemalie resigns from her position as managing director at Ponte Mundi. On all these documents, Jardemalie and her husband clearly satate their address: apartment 4100, Le Reve residential tower, Dubai, United Arab Emirates. As noted earlier, the address of Botagoz Jardemalie SPRL and then of Ponte Mundi is Chaussée de Louvain 467, Brussels, Belgium. This is also the address of Ruchat Lexial, the law firm that eventually became the owner of Ponte Mundi. Ruchat Lexial was founded by Emmanuel Ruchat, a highly connected expert in immigration law, criminal and political law. In Brussels, Ruchat leads a LREM committee (a political movement created by the French President Emmanuel Macron). In France, he worked with former Ministry Michel Barnier within the framework of “New Republic,” as well as with Senator Jean-Marie Bockel (“Gauche Moderne”). He participated in drawing up with MEP Alain Lamassoure a report titled “Citizens and European law enforcement,” submitted to another French President, Nicholas Sarkozy. Well, this lawyer with top connections both in Belgium and in France hosted and then bought a company owned by Botagoz Jardemalie, a person wanted for “misappropriation or embezzlement of entrusted property.” This raises tons of questions. While Kazakhstani authorities are doing everything in their power to recover the billions of dollars stolen by Ablyazov and to apprehend him and Jardemalie, the Belgian intelligence failed to discover that an international fugitive was doing business in Brussels. The Belgian authorities didn’t seem to notice the presence of Jardemalie in their country. Nobody ever asked her any questions about her presence in Belgium. By all accounts, the Belgian authorities’ failure to discover the presence of Jardemalie is a gross negligence – and provides another example of incompetence. Time will tell whether this incompetence was willful or not.